National Geographic is the world’s favorite science and nature magazine, and has been published continuously since its initial issue in 1888. The official magazine of the National Geographic Society, it is known for its striking photos, in-depth looks at global cultures and traditions, and for its insights into human history and development. 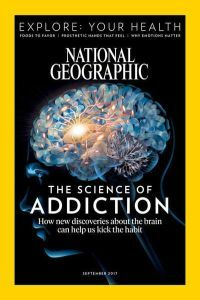 Readers will love the features in National Geographic, which include sections like “The Moment,” which focuses on a specific photographer on assignment, and “Flashback,” which looks at photos from the National Geographic archives. It also includes sections where readers can submit their own photos, first-person photojournalism stories, and a look at global technology. Additionally, these sections are all accompanied by stunning, thought-provoking images.